Brilliant acting by Siyabonga Twala and Bheki Mkhwane has kept Isibaya fans glued to their TV screens. TWO deadly enemies spot each other across the plush hotel foyer. Who will make the first move? Will blood be spilled? An explosion ripples through the room. But it’s one of laughter, not violence, as the two guys throw their arms around each other. 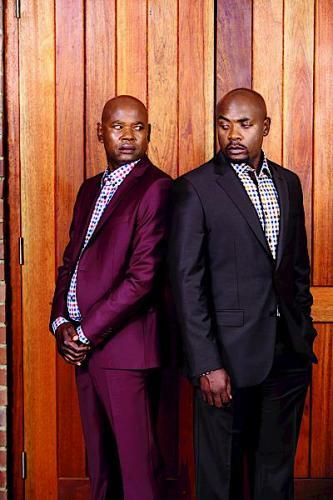 Veteran actors Siyabonga Twala and Bheki Mkhwane star as the two feuding businessmen Mpiyakhe Zungu and Samson Ndlovu in Isibaya, Mzansi Magic’s popular telenova. In real life, they’re actually brothers they say – not biological but they’re as close as any brothers could be.